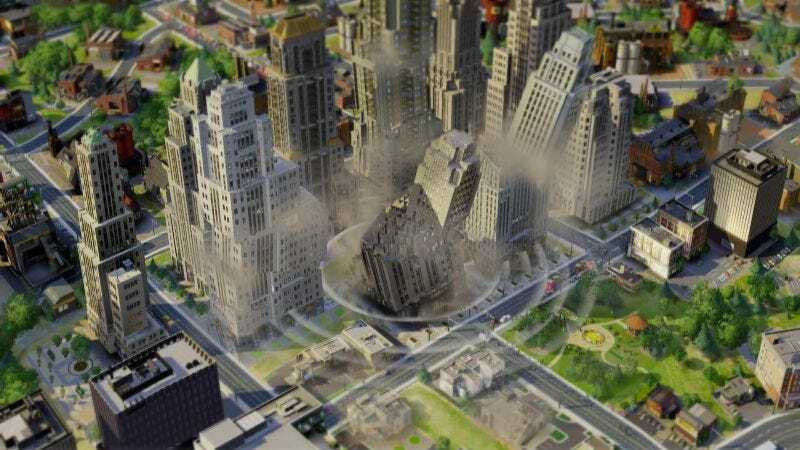 After failing to stop a rampaging monster from smashing it, and then realizing that it had too many industrial buildings next to residential buildings anyway, Electronic Arts has decided to close the Emeryville headquarters of SimCity developer Maxis—formerly one of the biggest names in PC gaming. That comes from Kotaku, which reports that EA will continue to put Maxis’ name on stuff, but the actual people that made the various SimCity games, the SimWhatever spinoffs, and Spore have all been let go. However, development of the Sims games—which are like SimCity except you have to make people go to the bathroom instead of just giving their houses plumbing—is now controlled by a separate studio, so this shouldn’t have any impact on Sims 4 or any of EA’s other bathroom-focused games. Originally co-founded by SimCity creator Will Wright in 1987, the studio fell out of favor in recent years thanks to the disastrous release of 2013’s SimCity reboot, which—among other issues—required players to be online at all times in order to prove that they didn’t steal their copy. While not a huge problem on paper (though rather unfriendly to the consumer), the game started suffering from crippling connection issues that made it effectively unplayable. Maxis eventually released a version that you could play offline, but the damage had already been done. So much damage had already been done, in fact, that it seems like a safe assumption that the failure of Maxis’ flagship series had something to do with Maxis getting shut down. Of course, EA has never seen a dollar bill that it didn’t want to get its little claws on, and the SimCity brand is still pretty well-known, so the series will almost certainly come back some day—but from a different developer. For anyone looking to get nostalgic about better days at Maxis (pre-SimCity reboot), Game Informer has an exhaustive account of its first 25 years that’s probably worth a read. Or, if your grieving process is more snark-based, Kotaku has a list of all the studios that EA has bought and then shut down.